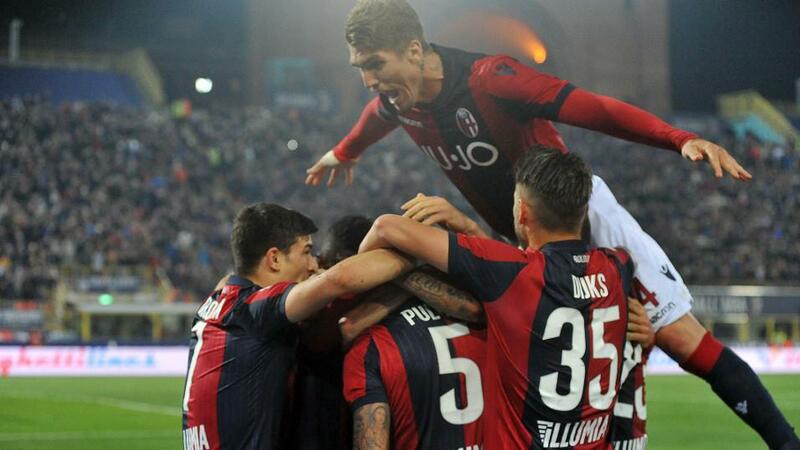 After coming off the rails against Atalanta, Bologna got back to winning ways on Monday night against Chievo, and we shouldn't ignore their recent resurgence as they head to Florence for another huge game in the relegation battle. Bologna have now won four of their last five League games, as many as they had managed in their previous 38 in Serie A, and Sinisa Mihajlovic has them in form at just the right time. He takes risks in his style of play, which may lead to goals in this game, and it has paid off on what has been a late season rollercoaster ride. Fiorentina haven't won in their last seven Serie A games, and the last time that they won a home match in the League was on December 16, and yet we can back the form team in Serie A against them at odds-against with a goal start. Coach Stefano Pioli resigned this week after a bitter row with the club hierarchy, Vincenzo Montella - who was fired by both Milan and Sevilla last season - came in and the ultras are planning a protest against the patrons. La Viola have won only five of their 15 home games in the League this season, and four of those came before the end of September. Their season has fizzled out, and even though they have a good recent record here against Bologna, winning each of their last six home games against them, that counts for nothing here, and Bologna simply must be supported. Even though the Serie A season is starting to wind down, and we're getting to the point when strange results begin to crop up, I still think that Torino rate as a value bet to beat Cagliari this weekend. Cagliari might have won their last away game, at Chievo, but they had lost the six before that, and this is a much sterner test against a Torino team who are only three points off fourth place in the League. An improbably high finish remains on the cards for them. Despite a home hiccup against Bologna a couple of weeks ago, Torino are normally ultra-reliable here, and have now won 18 of their last 21 possible points here in Turin. With Cagliari edging towards safety, and possibly targeting other games, that's a formidable hurdle to overcome. Let's be honest, winning at Chievo last time doesn't represent a significant turnaround in away form for Cagliari, and merely reflects the fact that they were up against the worst team in Serie A. They have lost 10 of their 15 games on their travels this season, and the fact that they are eight points clear of relegation, and probably safe, is down to their home form. Torino shouldn't be trading at [1.89] for this, and must be backed. The Derby Della Lanterna takes centre-stage on Sunday afternoon as Samp and Genoa go head-to-head, and even though this is an historically low-scoring fixture, I think there are reasons to believe that both teams will be on target this weekend. That has only happened three times in their last 10 meetings with Samp as the hosts, but I tend to look at that as a statistical anomaly and look instead at the reverse fixture, which finished 1-1 and might have had plenty more goals, and the recent records of both these teams. Samp have scored in seven of their last eight games, only failing last week against Roma when they dominated possession and inexplicably failed to win. Genoa's overall stats look poor, but they have showed an ability to score against high class teams like Samp who play progressive football, like Napoli, Lazio and of course Juventus. I think that Genoa's goalscoring problems come to the fore when less ambitious teams defend deep against them, but that won't happen here, and I wouldn't be at all surprised to see a similar scoreline to the one from earlier in the season. That would be irritating for Samp, whose top six challenge is fading, and a bonus for Genoa, who are still looking over their shoulders, albeit less nervously than before.